MORE CONTROL OF PLACEMENT - Regardless of the water conditions, this marine anchor will set into any bottom condition with NO need for mechanical power from your boat. TOSS IT IN AND RELAX - Simply kill the engine, toss the anchor overboard, and it will set within 1 foot of it's landing. 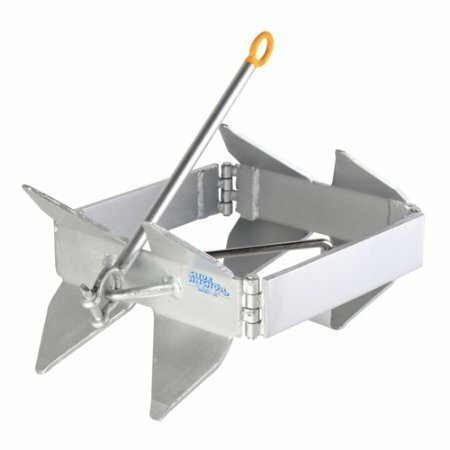 Purchase Slide Anchor Box Anchor for Boats, Offshore, Small,Silver at Discounted Prices ✓ FREE DELIVERY possible on eligible purchases. 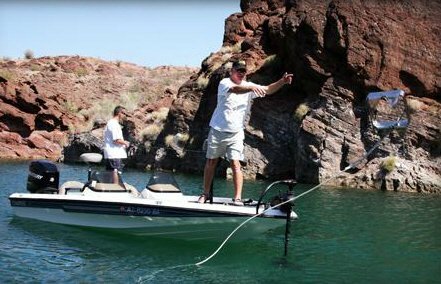 EASY RETRIEVAL - Just pull the line to bring the boat over the top of the anchor and the lack of upward facing surface area will allow the anchor to pop right off the bottom. 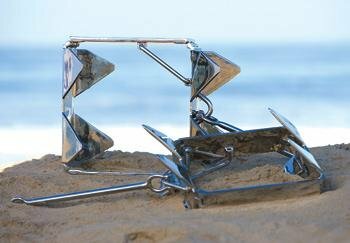 COMPACT STORAGE - The best part of this powerful anchor is that it will fold flat for quick and easy storage. Simply release the stainless steel stabilizing arm and pack away in its ventilated storage bag. SMALL WATERCRAFT COMPATIBLE - This Small Box Anchor is perfect for offshore/sport boats measuring 18 to 30 feet, and cabin cruisers up to 24 feet. The Box Anchor is a state of the art offshore boating anchor that brings anchoring to a new level of sophistication by allowing you to have more control over the placement of your boat, regardless of the situation. 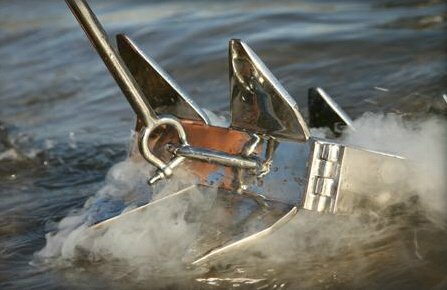 It requires no chain and only a fraction of the line used for a traditional Danforth anchor, making the Box Anchor easier to handle than most other boat anchors available. The Box Anchor's unprecedented patented design allows your boat to be held at a 45 degree angle from the bottom, digging the downward facing flukes firmly into the bottom without snagging them permanently on debris. When it comes to retrieval, just pull the line to bring the boat over the top of the anchor and the lack of upward facing surface area will allow the Box Anchor to pop right off the bottom. This same principle works in wind or current change.